Well, here we go again! This time, rural Nebraska. I start out by landing in Sioux Falls, SD, drive south east to Sioux City IA to commute daily into Nebraska. I'm not sure what to expect, but as usual I'll share it here on this blog. Whats Going on With IPTV in Mississippi? While in Mississippi, I had the pleasure of meeting with the folks at Telephone Electronics Corporation (TEC), the country's largest privately-owned telecommunications corporation. They are composed of some 30 companies, and now they will be rolling out IPTV out of their Bay Springs location. TEC will be offering IP-PRIME, the service offered by SES Americom using the "headend in the Sky" or "HISs" model. They will be deploying Amino's AmiNet 130 set-top as well as the brand new AmiNet 530 that includes DVR and HD capabilities on an MPEG4 stream. This is some pretty advanced stuff for a company which had until now offered analog cable. When the system goes live, TEC will be offer their customers a truly leading-edge product that will leave their competition in the dust. SES Americom's IP-PRIME will utilize NDS' Metro middleware to drive the Amino boxes for TEC. It stands to reason that once TEC becomes successful with this produt, they will roll it out to other areas of Mississippi. 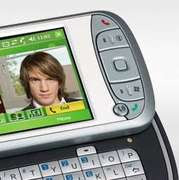 "An improvement over Windows Mobile 6 released in February 2007 the new version, unsurprisingly named 6.1, will be a stop-gap measure to keep both consumers and industry happy until the launch of Windows Mobile 7." New features include a new fonts, a new homescreen and features such as a task manager and copying and pasting in Internet Explorer. Well, here we go again! My flight leaves Sunday night, I should be in my hotel before midnight for a week's worth of my training. On the docket: IPTV installation and Customer Service Rep. training classes. I'm also looking forward to some great barbecue (as promised). As always, TfTTE readers will be the first to know! There has been a lot of discussion about convergence lately. Based on some recent interest in this information, here is part III of a primer on this trend and what it means to all of us; not just in telecommunications, but in all facets of the business world. As we discussed earlier, many companies had tried and failed with early forms of convergence. Many of these failures occurred simply because the wrong network was chosen to converge upon. In part II, we looked at AT&T (coaxial cable) and Sprint (ATM) and how these choices decimated nearly destroyed these companies. The choice of today’s integrators is TCP/IP. Whether or not it is run over the actual Internet or another network, TCP/IP is the language of the Internet. It is superior for the simple reason that it is dumb. Unlike other network types such as ATM and Frame Relay, TCP/IP does not rely on error correction. In other words, so called “Intelligent networks” constantly measure the quality of the information they send insuring QoS (Quality of Service). If a packet of data is not delivered, the network will look for it and deliver it eventually. Sounds good if we’re sending documents, but worthless if you’re trying to make a phone call. The last thing you’d want is the garbled bits of talk that dropped off your call delivered at the end of the sentence. Worse, all that error correction slows the network down. TCP/IP has no error correction. It is not an intelligent network – quite the opposite. When something is sent and there’s a problem, the message just gets lost. That sounds bad, but its not; As described earlier, if part of the phone conversation falls out, you don’t want it back at the end. It’s the whole concept of dumb cars on smart roads. Think of the data packets as cars on the road; the road has no intelligence, just the cars (or really, the drivers). If someone is lost, it’s not the road’s responsibility; it’s the cars’. This is a far more efficient system. The same is true of TCP/IP. Now with TCP/IP as the medium for the converged terrestrial network, anything can be delivered or sent so long as the price is right, and for all the reasons I mentioned earlier, IP is also, cheap. Did I say cheap? It’s getting cheaper all the time. Fiber-optic cable costs less than copper wire, and the per-megabit rate continues to drop. In 1995, I worked for AT&T and sold my first T1.5 for the shockingly low price of $6,600 per month (that’s 1.44 megabits per second of IP). My fellow sales people were amazed that I was granted a rate of less than $10,000 from the pricing department. By comparison, last month I purchased FIOS from Verizon for my home: 15 megabits per second for $35 per month, delivered by fiber-optic cable. Apparently, many people make lists like this. Do you do this too, or am I just a freak? Apparently the satellite TV operators cried to the FCC that they couldn't provide HD (High Definition TV) right away because it uses more bandwidth. They claim (quite accurately) that HD requires about three and one half times the bandwidth as Standard Def. 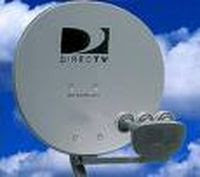 Even though Dish and DirecTV will advertise that they offer HD, many channels will be "down-converted" to require fewer lines of resolution and therefore less bandwidth. This should be a boon to IPTV and cable operators who can now thwart the competition. In the wake of Google entering the the government's 700 Mhz auction (and subsequently pulling out) Verizon, Sprint, et.al. declared "Open access policies" that somehow would allow devices from any company work on competing networks. Gizmodo has an article attempting to make sense of this and explain it in plain english:Verizon's Open-Door Policy: What It Actually Means. As useful as this article is to explain the situation, I believe they are somewhat incorrect. With Google in the auction, these companies felt they HAD to offer open access, or their hand would be forced (as Google intended). Once they made this declaration, Google felt free to drop out. I have heard that the so called Open Access is meaningless. Verizon may allow users on their new 700 Mhz, provided your phone has a radio that can use this new bandwidth EXCLUSIVELY. In other words, the existing 800 and 1900 Mhz CDMA bandwidth remain exlusive to Verizon devices. How much coverage will be available on this new network (if it is ever built out) is anyone's guess. Who will make a 700 Mhz phone? Time will tell. "Some carriers relying on middleware from Myrio, a unit of Nokia Siemens Networks, have become so frustrated that they are considering switching providers. Myrio customer diversiCom, an ILEC and CLEC operating in Minnesota, said it has had to halt its IPTV marketing because it does not yet have an upgrade of Myrio’s middleware that will support HD and DVR capabilities...According to chief operating officer Dean Mohs, some other member telcos are in the same boat." "The wireless technology, called the rural connectivity platform (RCP), will be helpful to computer-equipped students in poor countries, says Jeff Galinovsky, a senior platform manager at Intel. And the data rates are high enough--up to about 6.5 megabits per second--that the connection could be used for video conferencing and telemedicine, he says. The RCP, which essentially consists of a processor, radios, specialized software, and an antenna, is an appealing way to connect remote areas that otherwise would go without the Internet, says Galinovsky. 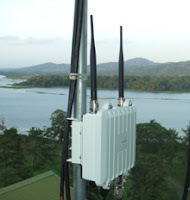 Wireless satellite connections are expensive, he points out. And it's impractical to wire up some villages in Asian and African countries. 'You can't lay cable,' he says. 'It's difficult, expensive, and someone is going to pull it up out of the ground to sell it.'" The point-to-point technology requires two nodes which could provide full back-end infrastructure for less than $1,000. "A femtocell is the world's worst name for a very exciting technology. It's a box (about the size of a router) that you connect to your broadband router; it essentially gives you your very own cell phone tower, right in your home." There has been a lot of discussion about convergence lately. Based on some recent interest in this information, here is part II of a primer on this trend and what it means to all of us; not just in telecommunications, but in all facets of the business world. Convergence is not a new concept: telecommunications companies have been attempting similar tricks for years. By combining services that traditionally require different transport methods, fewer networks are needed. Fewer networks need less maintenance, less facilities, etc. The trick is to find the network that will effectively do the job. In the late 90s, AT&T used it’s resources to purchase enough cable TV properties to become the largest cable provider in the US. AT&T had little interest in running a television operation; their goal was to get local and long distance services on these existing cable networks. Although this technology had been tried (at least 4 times) before, the new CEO C. Michael Armstrong believed it could be done now and was willing to bet his and the company’s future on it. Did it work? Today Armstrong is the semi-retired chairman of Johns Hopkins Medicine and AT&T was recently purchased by a company it spun-off, SBC (shortly after purchase, SBC changed it’s name to AT&T, a more recognizable moniker). Another example is Sprint’s experiment with convergence, called ION – short for Integrated, On-demand Network. Sprint’s idea was to use its well-designed and maintained ATM over SONET network to deliver different services. The plan was to bring Sprint’s network directly to the premise (home or business) through a miniature ATM switch. The marketing was simple: just like electricity is turned up as needed, ATM could be turned-up similarly. If more telephone service, Internet or video conferencing was needed (television may have been on the radar as well), service could just be “cranked-up”. Sprint blew over $80 Billion on this project before they pulled the plug. They concluded that ION was truly a project ahead of its time. They were probably right. While they were correct about the coming need for convergence, running telephone and IP over ATM(!?!) was not the way to go. All but the largest companies had no use for ATM by the early ‘00s. This weekend I had the opportunity to visit a place from my distant past...Eastchester, New York. This little area is part of Westchester County not far from where I grew up. 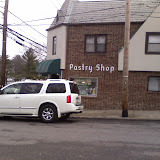 They have a bakery there called the Chester Heights Pastry Shop named for this particular part of Bronxville. I have memories as a five year old going to this place with my folks. I few years ago I was thrilled to find it was still there, and still making the finest German-style pastery available in (dare I say it?) the country! Om Malik reports on his excellent blog Gigaom that broadband may be widely available by this spring aboard some American and Virgin America flights U.S. In-flight Broadband Is A-gogo by Spring provided by Aircell. they are naming the product Gogo. Speed will be 1.5mb upstream and the same downstream. The cost should be $12.95 for cross-country flights such as San Francisco to New York, and $9.95 for flights with a duration of 3 hours or less. Now that Q4 results are in, it seems more evident that the traditional MVNO (Mobile Virtual Network Operator) model is suspect. this morning Virgin Mobile, one of the strongest of these companies, got hit with a 53% loss in stock price Virgin Mobile USA’s stock plunges on Q4 results. This is particularly troublesome because Virgin enjoys a unique relationship with Sprint (their carrier) as they cater to a demographic (pre-paid youth market) that Sprint cannot touch without them. I had a conversation with my the Legal Department of my company, just to clarify what I can and cannot mention. While I may not (nor would I) divulge proprietary information or copyrighted documentation, there may be additional guidelines they'd like me to follow before I discuss them here. I've been promised a copy of them shortly. Stay tuned. There has been a lot of discussion about convergence lately. Based on some recent interest in this information, I present a primer on this trend and what it means to all of us; not just in the telecommunications business, but in all facets of the business world. First, we need to define the term. According to Wikipedia, Technological convergence refers to a trend where some technologies having distinct functionalities evolve to technologies that overlap, i.e. multiple products come together to form one product, with the advantages of each initial component. As it applies here, convergence is the merging of different services that once traveled separate networks. 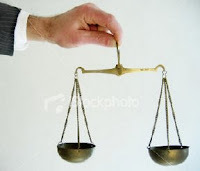 By delivering them over fewer networks, economies of scale are achieved. The best example of this is the current merging of Internet, telephone and television over one IP-based network. Every telephone company worldwide is either doing this now in one form or another or at a minimum, in the exploration phase knowing they are late to the party. VON Magazine has posted a story announcing Siemens' new product: Siemens Launches OpenScape Unified Communications Server. Siemens has been touting this for awhile as the next generation platform of all things "Communication". Different parts of the UC (Unified Communications) server include OpenScape Voice Application, OpenScape Video, and OpenScape UC Application V3. This is particularly interesting for two reasons: First, Siemens has now "officially" re-made itself into a software company, with the ability to compete with the likes of Microsoft for the lucrative business video and telephony market. Secondly, IPTV providers who are already using TotalManage from Myrio have been waiting for the next major upgrade. Since Myrio has been purchased by Siemens, many of these providers have been wondering when the upgrade will occur. As it turns out, Siemens purchased Myrio precisely to acquire TotalManage to incorporate into UC. Once UC is launched, TotalManage users will see the software upgrade that will allow them to offer the services to allow them to be more competitive in what is shaping up to be an extremely competitive market. Why do I mention any of this? Because many of the companies I visit are faced with these concerns: "Should I consider Myrio for my IPTV operation? ", "What are my options? ", etc. Now it looks like TotalManage will finally be the robust middleware product many operators are looking for. This week: South West Arkansas! I'm now getting prepared for my next destination. The good news: one flight, no transfers. I'm arriving at DFW, a major airport. Unlike Minnesota, the weather will be sunny and in the 60s. The bad news isn't so bad: a three and a half hour drive to my hotel in Texarkana. The real bad news is that I checked my seat assignment and I'm in the back of the plane in a middle seat. That's a heck of a way to treat a passenger paying full fare! Hopefully, the gate agent will be helpful tomorrow when I beg for a change. Thanks, American Airlines! Garden Valley Telephone in Erskine, MN is preparing to deploy IPTV. While they've been in the video business for years (they claim to have one of the oldest working cable TV operations) they will very soon have one of the newest. IPTV is truly a cutting edge product and GV has the ability to deliver it. Right now they are delivering Internet to their customers through ADSL2+ at approximately 30 mbps and through fiber (FTTP) at a whopping 100 mbps. With that speed, it is only natural to want to offer the "triple play" of Internet, telephone and video to their customers through that pipe. Like many other carriers, particularly rural ones, protecting the base of customers is vital to their long term survival. It's one thing to survive, it's another to grow and flourish and that is exactly what Garden Valley is looking to do. Now with IPTV, it looks like they may do just that. I was very fortunate this week to be able to spend some time with these folks and talk about getting ready for IPTV. I worked with the teams that will interface with customers so that they will be able to answer their questions. I also spent time with installers reviewing what they will need to know as well. GV will be serving two DMAs: Fargo/Morehead and Minneapolis/St. Paul. They will be using Myrio (Siemans) for their middleware riding on Scientific Atlanta gateways.